Water Shortages Take a New Victim: Marriage | Waterless Co Inc. It appears droughts and water shortages have taken a new victim—one most of us would not think of. In some areas of rural India, enduring severe drought, parents are not willing to let their daughters marry a local man because they do not want their daughters to remain in the area. Altogether, parents in eight villages have come to this conclusion. Apparently, in some areas of the country, the water table has gone down so much that even if workers dig down 1,000 square feet, they often cannot find water. And, these are areas that have historically had more than enough water to provide for villagers. The causes of the drought are as simple as they are complicated: lack of rainfall, inadequate water infrastructure, no water efficiency measures to reduce consumption. The well water problems and lack of water in these villages is now having a significant impact on the lifestyles of their residents. For instance, some villagers must walk several miles now just to get water. Invariably, it is women who must make this walk; parents simply want more for their daughters than spending so much of their time collecting water. It is also impacting the economies of these areas. As the water goes, apparently so does industry, including farming, which is a staple in many rural parts of India. And many of the girls in these villages have gotten student loans at interest rates as much as 14 percent. Jobs for these girls are also getting fewer and fewer. Discussing the water problem, a spokesman for the eight villages, Rabindra Jena, says, “I am helpless.” Although he does not know what the villages can do now about their water crises, and has no immediate water shortage solutions, he and the other parents just know they do not want their daughters to have to deal with it. What is happening here is an example of what is taking place in many parts of the world, especially those that make up what are called the “developing economy countries.” In many cases, these countries, which include India, Brazil, China, Mexico, and Indonesia, are experiencing water shortages because they grew faster economically than their water supplies and infrastructure could manage. However, often these countries have the funds and can cope with water scarcity. For instance, China is investing about $100 billion per year to clean up polluted water and build new infrastructure to deliver water more efficiently. But the problem in India is different. Droughts and the slow loss of underground water supplies are starting to make these villages uninhabitable. And, even if these areas experience large amounts of water over the next few years, it will only marginally help the situation because it takes decades to build up underground water reserves. So what we may expect to see in coming years is parents not only refusing to let their daughters marry in these villages, but soon it will be the sons as well. Ultimately, the only option possible is to look for ways to use water most efficiently. In this case, it may be too late. This should have happened a decade or more ago…but we cannot give up hope. 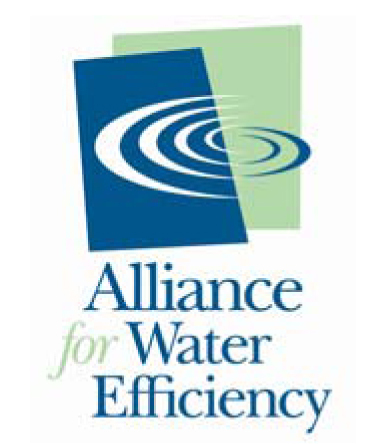 For more information on ways to deal with water shortages, address water problems, and use water more efficiently, contact a Waterless Co representative. Newer PostAre California's Drought Conditions Over?